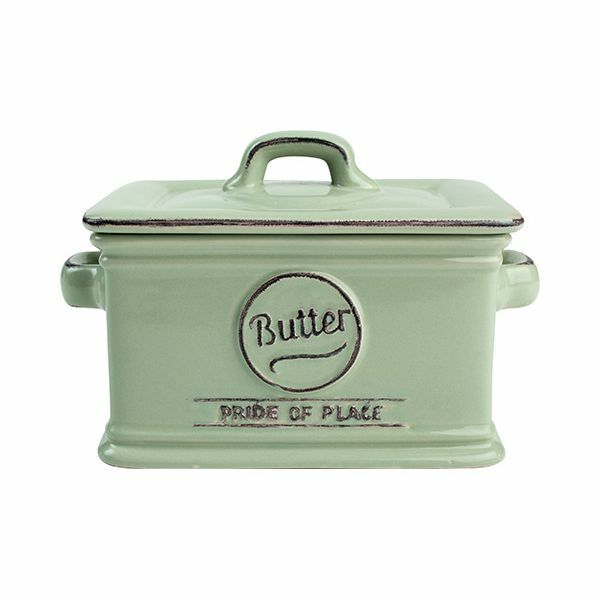 This ceramic butter dish is a stylish way of storing your butter. Finished in Old Green with contrasting vintage wording, the styling is reminiscent of traditional enamelware. Dimensions: L 135mm x W 97mm x H 100mm. Bought to match existing products. Excellent delivery, excellent price. Thank you.